Individual counseling focuses on decreasing and/or eliminating substance use while also assisting in skill-building, fostering better relationships with others, and developing a recovery plan. Counselors/therapists typically provide a wide range of services to individuals and may also help the individual with any mental health concerns they have, such as anxiety, depression, or trauma to name a few. The frequency of individual counseling sessions is typically determined by the counselor/therapist and the individual. Group counseling is similar to individual counseling in that it involves the goal of decreasing or eliminating substance use. 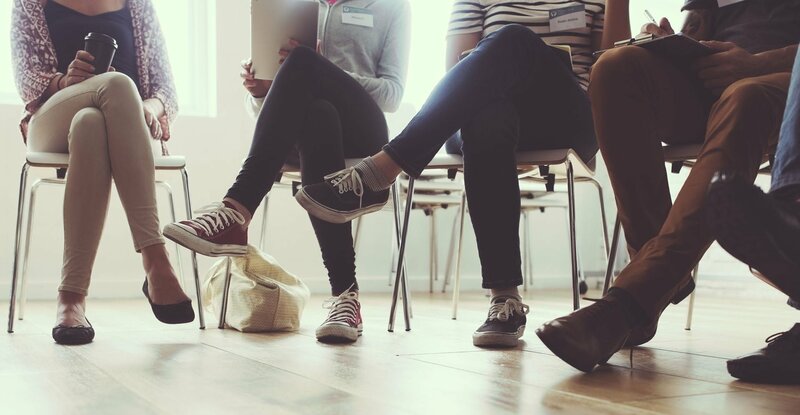 However, rather than meeting with a therapist or counselor one-on-one, an individual will participate in a group with other individuals struggling with substance use. Some groups are facilitated by a therapist/counselor, while some are facilitated by a peer support specialist or other professional. Treatment typically includes weekly group meetings that focus on building skills to prevent future use and setting goals for decreasing use. Group counseling also provides an additional support system for those who wish to enter recovery for addiction. Intensive Outpatient Treatment is a treatment option in between individual/group counseling and residential treatment. IOP programs allow an individual struggling with addiction to maintain working while also attending substance use meetings during the week. Typically, IOP programs require an individual to participate in activities, meetings or substance use classes 10-15 hours per week, though some programs may require an individual to be present more than 15 hours per week. IOP programs may also encourage participation in 12-step programs such as AA or NA. Medication-Assisted Treatment, also known as “MAT,” combines medication with counseling/therapy to decrease and/or eliminate substance use. The medication helps reduce cravings and can also be helpful in alleviating symptoms that are linked to withdrawal from a substance. The counseling / therapy portion of this treatment option seeks to help the individual stick to a recovery plan and refrain from use. MAT is typically used when treating opioid use disorder, but can also be used for treating alcohol use disorder and other substance use disorders. Due to the high rate of overdose with opioids or heroin use, the individual may stay on medications on a continual basis. In substance use, medical detoxification occurs when an individual rids their body of the presence of any illicit substance(s). For most individuals, this occurs prior to placement in a residential treatment facility, as most facilities require individuals to be free of drugs and alcohol before entering a program. However, some facilities provide both detox and rehab. Since addiction encompasses both physical and mental aspects, it is difficult and sometimes dangerous for individuals to completely cease drug or alcohol use without receiving medical intervention. Detox facilities provide a medically safe environment for individuals to rid their body of alcohol or illicit substances before entering a recovery program. Residential treatment offers 24-hour care for an individual struggling with substance abuse/addiction. The primary focus of treatment in a residential facility is to change behaviors associated with substance use and prepare an individual for returning to the community setting. Generally speaking, stays in a residential facility can range anywhere from 28 days to 12 months. Care is usually provided in a non-hospital setting. In addition to providing help for addiction, residential treatment facilities can also provide support in areas outside of substance use, such as those for mental health. Residential treatment is one of the most intensive forms of treatment for substance use, and often requires individuals to participate in daily meetings and activities. Peer recovery or peer support is a form of treatment that allows individuals in recovery to assist those who are working toward recovery. Peer recovery specialists offer hope and encouragement to those struggling with addiction and may prove helpful to someone seeking additional support. Peer support services may be found in residential facilities, in intensive outpatient programs, or in other local substance use treatment programs. To learn more about treatment options for substance use, please visit SAMHSA.gov.